Finally I'll never cry alone bcoz Ohno will always be by my side...Okay, at least for this whole year.. Thanks to Ogy Nechan for being my Santa. Here are the random pictures of the calendar. One of Ohno's sticker is missing because I already paste it on my laptop... Heheheh.. I love this. 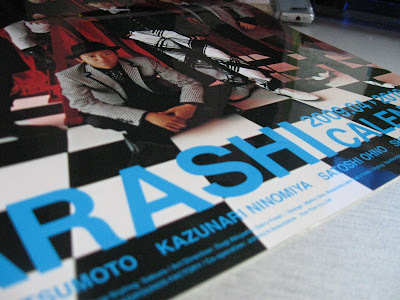 Arashi's organizer book. yay for you!both for the cd and the calendar,ne! 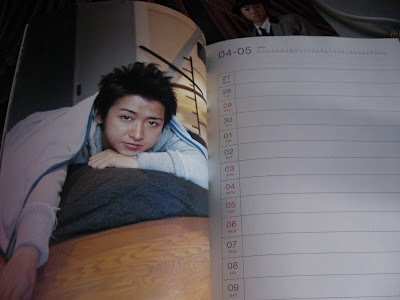 Yeah, Ohchan is so adorable..
i dont like those pic~!! 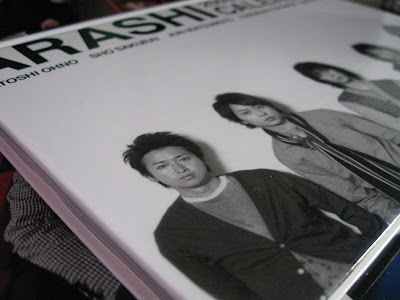 how did you get those Arashi calendar and organizer book? where did you bought it?